Welcome Home - Search by building from the pull down menu at top. As your KoenigRubloff real estate brokers, understanding and achieving your real estate goals is our highest priority. 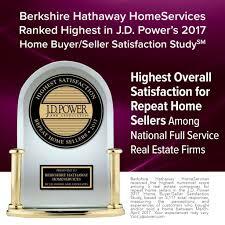 Neighborhood knowledge and market insight, along with outstanding personal service are the cornerstones of our business. As a part of one of the leading brokerages in the Chicagoland area, We can offer you advanced tools and resources. Whether you are buying or selling, I will provide guidance at each step of the way. I invite you to contact us to discuss your next steps. Totally redone studio unit. West view overlooking new park and pool and sundeck. New kitchen and bath. "Resort Like" amenity building with indoor pool, health club, steam and sauna, racquetball and half court basketball, sundeck, hot tub and on-site massage. 7 days a week SHUTTLE BUS and much more. Heat and A/C, cable with Tivo 6 included. High-speed internet available. Steps from Mariano's grocery store, Millennium Park, Downtown and Lake Front. Come see the Hot "New Eastside" neighborhood. Parking add. $200/month. 30 min free parking.